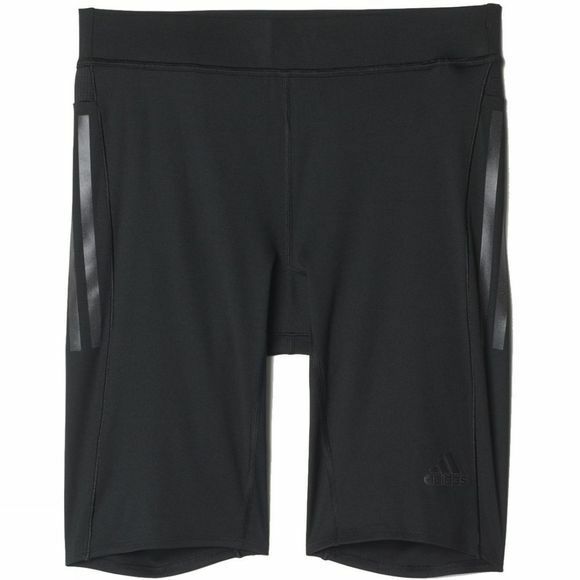 Enjoy freedom of movement and the feeling of an effortless run with Adidas Men's Supernova Short Tight featuring a reflective detail which ensures you're seen when work goes late and you want to run in the dark. It's hot, humid and you've just finished a satisfying 5km run with your friends. When you pull out your car key, you find it safely dry thanks to the Sweat Proof Pocket. Today is a good day. Stay dry and comfortable with Climalite® keeps your body dry by drawing sweat away from the skin.